Zenutech Review 2019: Is Zenutech a Good Hosting? Zenutech offers green website hosting with all of the necessary features, but the packages seem to be rather on the expensive side. Canada-based Zenutech is known for its environmentally friendly infrastructure and green website hosting services. It achieves this by avoiding coal-based power and reusing and recycling its older hardware instead of discarding it. Thanks to its small size, it can cater to customers’ individual needs and help them manage a seamless internet presence. The following features give a good idea of what you can expect in your hosting package from Zenutech. When it comes to performance, Zenutech employs quality Dell servers and Cisco switches, in addition to a fast and reliable network connection out of Montreal, Canada. This high-quality hardware is supported by secure software as well as spam and virus protection for your data. In short, you can expect reliable performance from them. SSL certificates at Zenutech come in two varieties. You can install the free shared SSL certificate that is a part of your hosting package. This offers all of the basic security you will need to secure your and your users’ data. But those with bigger websites looking for a professional solution to safeguard their data can opt for private SSL certificates, which of course, aren’t free. All of the hosting packages include basic functionality for e-commerce websites. You get SSL certificate support, an online catalog, shopping cart, and PCI compliance. You can even buy a dedicated IP for a small fee. It is important to mention here that the SSL certificate and dedicated IP need to be bought from Zenutech for the PCI compliance to work. You can also use merchant accounts like Paypal, 2CO, and beanstream to process online payments in your online store. While Zenutech doesn’t have an interface for cron jobs in its control panel, it can still accept a request for cron jobs and set them up manually. All you need to do is get in touch with them with your request. Other notable features include SSH access, advanced DNS management interface, a website builder, advanced web statistics, and support for Google apps. Zenutech offers three different packages in its Linux website hosting service; Standard, Business, and Enterprise. They offer 10GB, 20GB, and 40GB storage respectively. Bandwidth increases accordingly in each package. You can host a maximum of ten domains which is slightly disappointing. What is even more disappointing, however, is the pricing structure. The packages are simply too expensive and I fail to see what they offer that makes the packages so special. One reason could, of course, be the fact that they are a green web hosting service provider, but if the environment isn’t your immediate concern, you are better off looking elsewhere based on the price of the packages alone. The only positive is that you get three months of free service if you buy the hosting for a year in advance. Zenutech also has a reliable customer support system. There is a 24/7 emergency customer support telephone number to address your queries. The telephone support caters to all kinds of issues during working hours but outside of working hours, it only addresses emergency issues. If you need assistance with setting up your hosting or software, you’d want to call them during working hours. 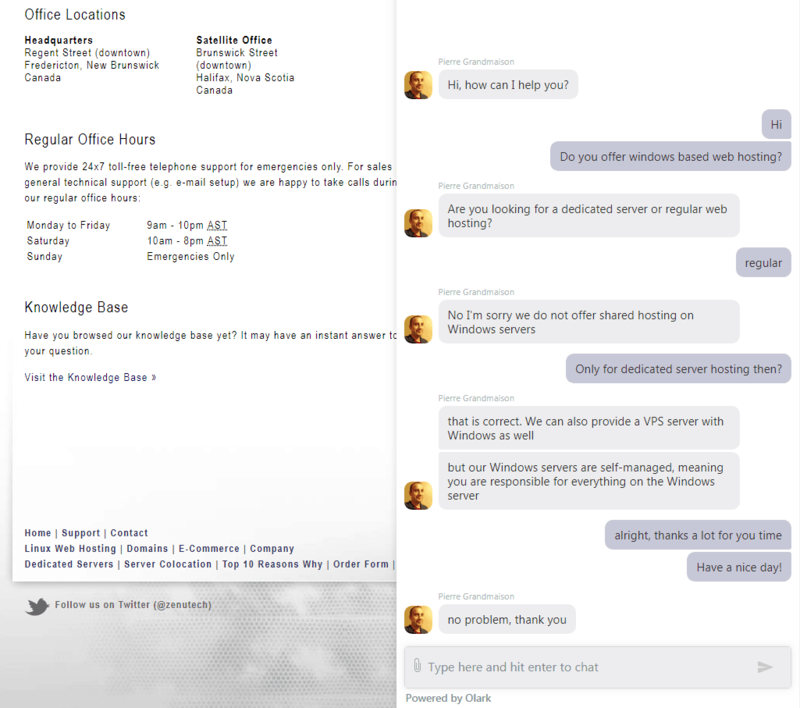 There is also a useful live chat with a real person behind the chat. It is not available at all times though. At the time of writing this review, there was an operator online and I asked him a couple of questions, which he answered to my complete satisfaction. What gives Zenutech edge over other hosting providers is its commitment to the environment and high-quality hardware. On top of that, it has an in-house technical customer support system which helps them stay in touch with their customers. However, the packages are extremely expensive and that’s where competitors beat them. 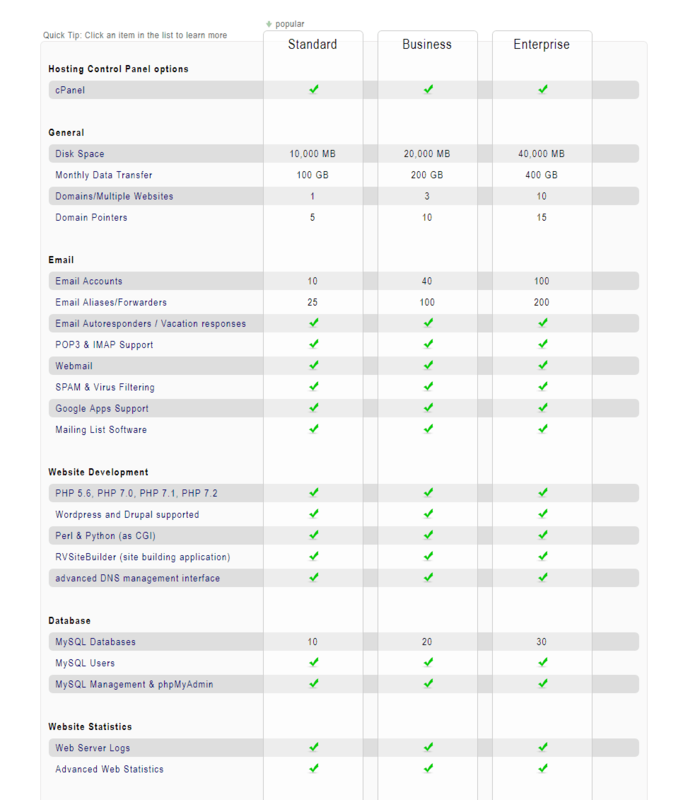 Wondering how Zenutech stacks up against other Web Hosting companies? Enter any other Web Hosting company and we will give you a side-by-side comparison.